Thank you for your warm welcome to this House of the Americas. I am honoured to be here at the Organisation of American States which stands as the world’s oldest regional organisation. It has stood as a forum for political dialogue and has been a central point for fostering cooperation and development in the hemisphere. The OAS has worked alongside the Government and people of Grenada as an integral partner. The OAS remains a vital and visible part of the consolidation of our development and democratic process. Indeed, the people of Grenada have been welcoming of the recent deployment of an Electoral Observation Mission in February of this year. At that time, my party, the New National Party, was returned to power with a clear mandate to build a new spirit of national unity across all parties and across all sectors and to seek consensus with a constellation of domestic social partners. It was also a clear mandate to deliver an Agenda for Recovery, Growth and Transformation. Recovery is critical: Like much of the region, our country has also been impacted by a number of global factors such as climate change, the global financial crisis, and the volatility of high oil prices. Of course, for small islands like Grenada, as proud and resilient as we are, the impacts have been much worse. To give an example: As devastating as hurricanes Sandy and Katrina were to the US economy, these cost between 0.5 and 2% of GDP. In Grenada’s case, Hurricane Ivan cost us 200% of GDP. Our CARICOM family can attest to these and similar impacts. Grenada restructured its debts at the time, but could not anticipate the global economic downturn of 2008. Again for small economies, the impacts have been much worse. And so, my team and I are here in Washington on the occasion of the World Bank’s Annual Meetings, to engage our international partners on the themes of Recovery, Growth and Transformation. We are here at a time of great challenges for the region. And it is also a time of some soul searching for this august body, the Organisation of American States. My friends, Grenada has endured much of the last 40 years since becoming an independent nation and, for what its worth, it would be an honour to share with you at least one of the important lessons that we have learnt. During our darkest hours, it was not enough to focus only on our challenges. We needed to also focus on the opportunities. Hope is an immeasurable source of energy that can help convene people, forge consensus, and deal with challenges of the day while seizing the opportunities for a better tomorrow. Following Hurricane Ivan’s devastation of Grenada, spurred by the indomitable spirit of the Grenadian people and buoyed by help and support of our partners in this hemisphere and further afield, I had the privilege of leading an economic revival around the theme of “Building, Back, Better” which allowed Grenada – within less than three years — to join its CARICOM neighbours in hosting Cricket World Cup, 2007 and in welcoming international visitors. 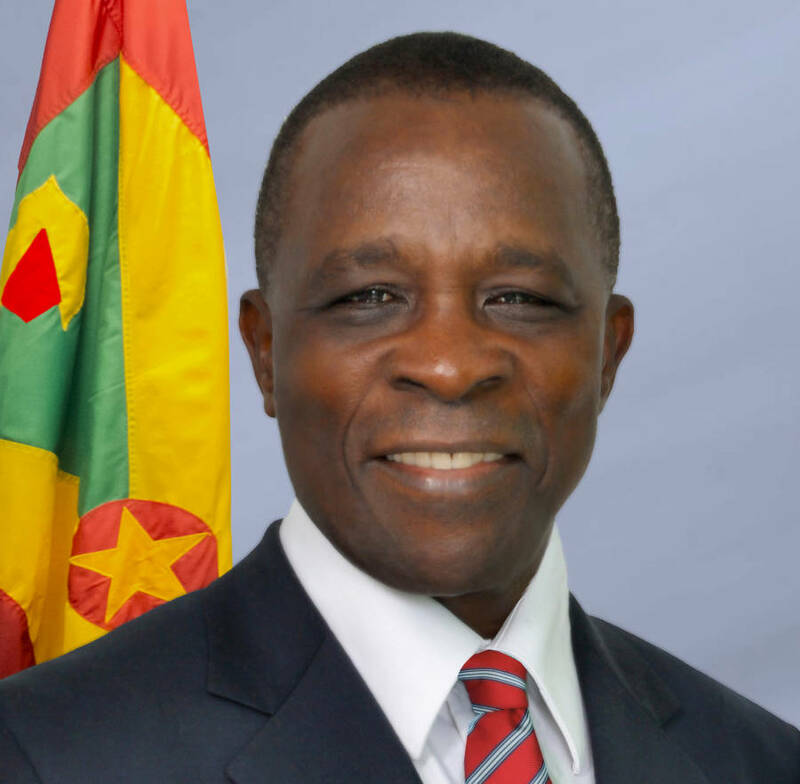 Today, Grenada has a similar chance and opportunity in the aftermath of the global economic downturn. Grenada’s focus is not only on Recovery, but also on Growth and Transformation for aSmart, New Island Economy. To achieve that growth and transformation, we are delivering Grenada as a centre of excellence for a clean and green economy which will see the dismantling of an electricity monopoly with a high fossil-fuel import bill. It is a bill lightened by the help of our regional friends [and by Petro Caribe]. But none-the-less, even with this help, Grenada has one of the highest prices of electricity in the region and our people have said “No more”. We are now engaging with partners on solar, wind and geothermal energy to make Grenada an exemplar for a sustainable planet. To achieve growth and transformation we are delivering a new health and wellness industry that builds on the success of our medical education institution , St. George’s University. With the development of a New Teaching Hospital, we envisage the creation of a Knowledge Park for international healthcare services, for medical and pharmaceutical companies, for information technology and for creative industries for our youth. To achieve growth and transformation we are delivering a world class tourism sector with biodiversity protection for 20% of our coastal waters, with a vibrant marine and yachting sector, with a trained workforce and with new boutique hotels, three of which we announced within the last two weeks. And this sector will be tightly coupled with growth in our agricultural sector. To achieve growth and transformation, Grenada is placing greater emphasis on trade with our regional partners in CARICOM and in Latin America. We see the region as great source of natural wealth including the vibrancy of our cultures. So while we are here to engage our partners on recovery, we are just as engaged on the seeds of hope for growth and transformation. The OAS institution, is also contemplating recovery and renewal as it seeks to develop an agenda that is relevant to its 900 million people and to their future. These are 900 million people that are seeking hope, seeking growth and seeking transformation. And this comes at a time when other regional blocks are doing the same: ASEAN, The European Union, The African Union. Mr. President and My friends, as we seek to transform this institution, it is the firm view of Grenada that we cannot only address the future that we fear. We must address the future we can embrace. With the advent of ICT, mobile communications and social media, we find that Security, democracy and human rights are open for business 24/7 as we have seen around the world, including in our own hemisphere. The youth are seeking hope and innovative opportunities using the new media.Young enterprises want more financing and more trade. Municipal and national governments want more competitiveness. We do not believe that it is enough for this august body to focus only on our fears. In defining a new OAS, we must also give hope to the youth, hope to the private sector and hope to governments like mine that are seeking a deeper engagement with the region and seeking new sources of competitiveness and growth. If we do not embrace an agenda around hope and development, we could find ourselves in a futile battle with transnational crime and an organised narcotics industry and more challenges to democracy, peace and security. Sixty-five years after its creation, the OAS is called upon to face bold new challenges and opportunities for our entire Hemisphere. In order to adequately respond, the modality by which it operates must adapt to these new realities. We therefore ask that in your deliberations on the future of the OAS, that equal weighting is given to the development agenda and to an agenda of hope, growth and transformation. In doing so, we can fulfil the inherent promise for the Americas and for the 900 million people that we serve. Please be assured of Grenada’s active engagement as a stakeholder in this dialogue for forging are newed and revitalised organisation. Mr. President, It has indeed been a pleasure for me to address you today. I am convinced that the OAS has a fundamental role to play as a focal point in the Inter-American dialogue on facilitating innovative approaches to promote the well-being of our citizenry. Today I reaffirm the bonds of friendship and cooperation between our countries and this organisation. And I reaffirm our commitment to work towards a renewed Hemisphere agenda for development where peace, prosperity and social justice will prevail. Mr. President, in closing, let me take this opportunity to wish you well in your deliberations. I look forward to seeing many of you later this evening to continue our dialogue and to strengthen our friendship.